They say imitation is the sincerest form of flattery, in which case Samsung might soon be seriously flattered by Huawei, as the latest leaks suggest the Huawei P10 will have a curved screen and a fingerprint scanner on the front, just like the Samsung Galaxy S7 Edge. That information comes from Weibo leaker @reviewer_xiaokang, who adds that the Huawei P10 might also support wireless charging. While they don’t back up any of these claims, none of them are unbelievable. The screen and scanner rumors are both things that we’ve heard before in fact, and things that we’ve seen already from Huawei on the Huawei Mate 9 Porsche Design. But with other earlier rumors pointing to a 5.5-inch 1440 x 2560 screen, the P10 is certainly starting to sound a lot like the Galaxy S7 Edge, and like Samsung’s flagship it might also come in a flat version, which will probably be cheaper. 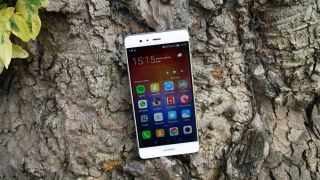 We’re still a few months away from the Huawei P10’s expected April release date, so it’ll be a while before we know for sure what form it will take, but if these rumors are accurate it could be a big upgrade on the already-impressive Huawei P9.